If you’ve ever wanted to experience Valve’s classic shooter as more of Hotline Miami-type of affair, this mod by Sockman111 might be something you should be downloading. 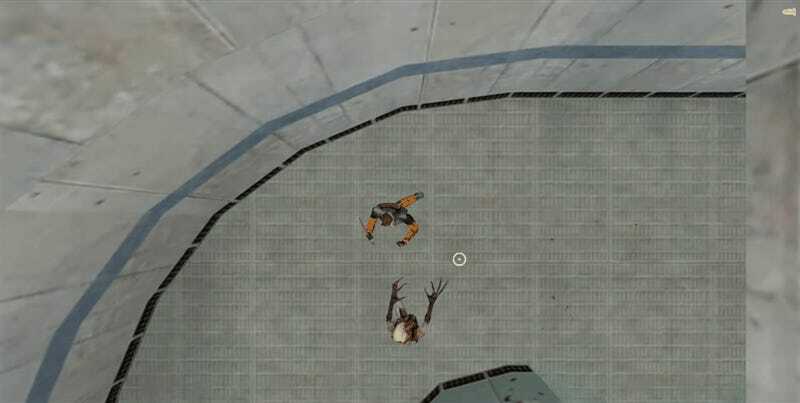 It turns Half-Life into a top-down shooter by replacing the game’s first-person camera with one of two options: one tracks the player but will show ugly “voids” where the map ends, the other attempts to avoid this ugliness by adjusting its height automatically, which works nicely most of the time but can get a little cramped in tight spaces. Even the creator admits they’re “not sure yet if the entire game is playable like this”, but at the very least it’ll make the platforming on Xen a little easier.